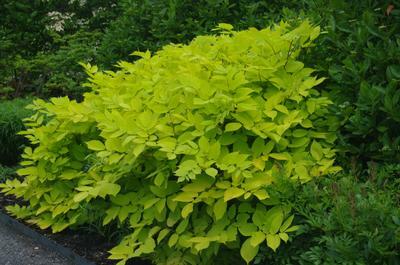 'Sun King' Golden Aralia is a very large showy perennial, producing chartreuse yellow compound leaves which hold their striking color all summer. The 2' tall white flower spikes appear in late summer, and are followed by purplish black berries. 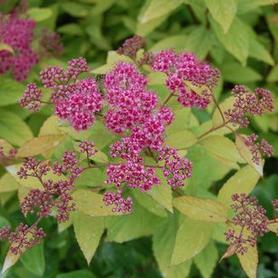 Barry Yinger found this Aralia in Japan (in a department store's garden section!) and brought it to the US. 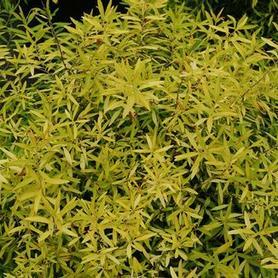 This is a great plant to light up the back of shady perennial beds.